Video game plots don’t usually include things like sickle cell anemia and anxiety, but DePaul University students are developing games that introduce players to diseases, disorders and other real-life characteristics of the human condition. Game developer and associate professor Doris Rusch leads the Deep Games Laboratory at DePaul’s School of Design. “Deep games,” a term she says she coined, are video games that use metaphors to symbolize deeper, more serious subjects. Rusch founded the Deep Games Laboratory six years ago and said more than 100 students have passed through the lab. Some of the games they’ve developed include “Blood Myth,” a game in which the player has sickle cell anemia and must survive by staying hydrated, resting, avoiding extreme temperatures and maintaining other self-care practices associated with the genetic blood disorder. The game “Soteria,” which won a Stanford University School of Medicine award last year, touches on anxiety disorders – the most common mental illness in the U.S., according to the Anxiety and Depression Association of America. 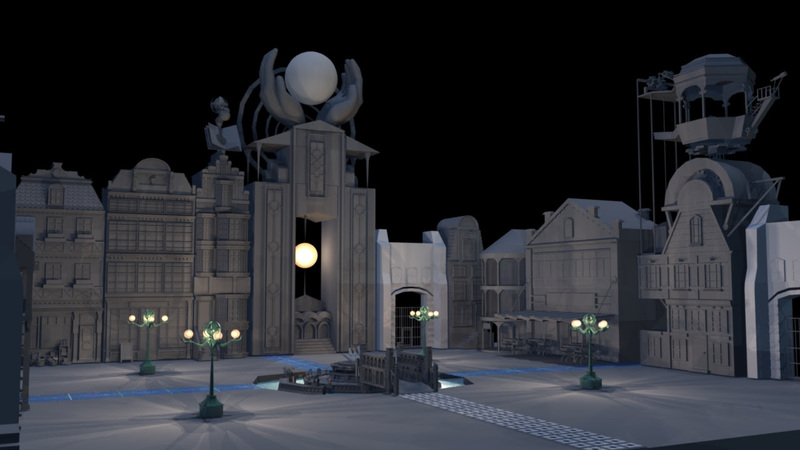 A still image from the video game “Soteria,” created at the Deep Games Laboratory at DePaul University’s School of Design. The game’s protagonist, Ana Carmena, explores her inner mind and battles anxiety that manifests itself as dream-capturing shadows. Through the course of her journey, Carmena learns that while avoiding her fears may be momentarily comforting, escapism is not a long-term solution. Beyond the recreational quality of video games, Rusch said deep games will ideally provide guidance and understanding to players, whether they or someone they know suffers from the ailments depicted. Rusch joins us in discussion.